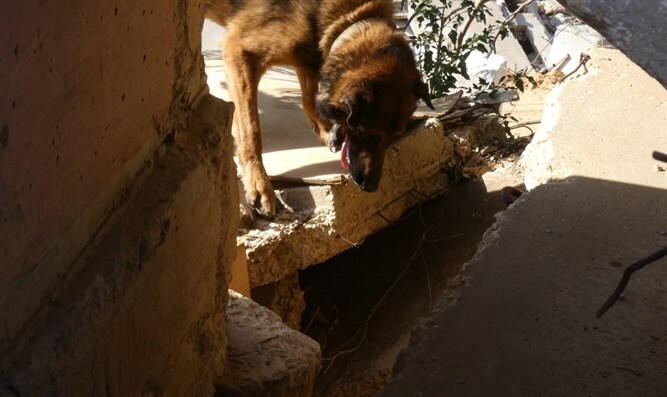 After yesterday's earthquake in Israel, the Israel Dog Unit (IDU) staff continues to train as many rescue dogs as possible to search wreckage sites for missing persons trapped under buildings collapsed by an earthquake or missile attack. 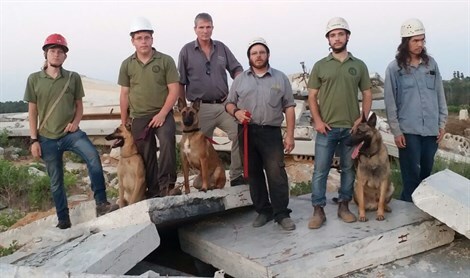 As a result of the earthquake, the IDU held a demonstration and training session at a wreckage site to locate people trapped under ruins by rescue and cadaver dogs. Media, Knesset Members, government ministers, and rescue forces were invited to observe the exercise and learn how to improve the response to earthquakes and natural disasters in the national emergency system. IDU Commander Mike ben Ya'akov said "Israel isn't prepared for the next major earthquake. After yesterday morning's earthquake, last night there were more, which is a bad sign. Scientists predict a major seismic event here every 90 years or so, and it's now been 91 years. In the event of a major earthquake or missile attack, thousands would likely die G-d forbid, and thousands more would be trapped. It's vital that we prepare as many dogs and handlers as possible." Tiberias Mayor Yossi Ben David last night urged the government to introduce and implement an orderly plan to strengthen buildings against severe earthquakes. Two earthquakes were felt in northern Israel yesterday. The first one, which was felt around 5:00 a.m., measured 4.1 on the on the Richter scale. The second quake was felt shortly before 11:00 p.m. on Wednesday evening, and it measured 4.3 on the Richter scale. Last November, Israelis across the country felt an earthquake that originated on the Iraq-Iran border. In January 2017, an earthquake that originated near the eastern shores of Crete was also felt in Israel. 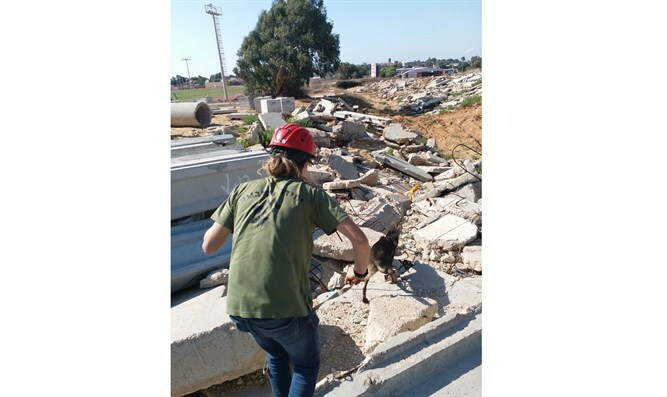 In November of 2016, an earthquake measuring 3.6 on the Richter scale which struck southern Lebanon was also felt in northern Israel, in cities such as Tzfat and Kiryat Shmona.